Dr. Boms is a research fellow at the Moshe Dayan Center at Tel Aviv University and at the International Center for Counter Terrorism in Hertzliya. He is a member of the board of the Israeli Council of Foreign Relations and the Institute for Monitoring Peace and Cultural Tolerance in Schools and the Co-Founder of CyberDissidents.org, a network of bloggers from the Middle East that focuses on freedom of expression and the promotion of dialogue in the region. In 2012 he co-founded the Tiyul-Rihla project, a bi-national educational initiative bringing Israelis and Palestinians together to travel and learn the history and identity of each other. Prior to his return to Israel in 2004, he served as the Vice President of the Washington based Foundation for the Defense of Democracies (FDD). Prior to his tenure at FDD, Dr. Boms was the Academic Affairs Officer at Israel’s Embassy in Washington, DC. Dr. Boms’s articles have appeared in Ynet , Ha’aretz, The Wall Street Journal, Le Monde Diplomatiq, Dante, The Washington Times, Iran Times International, Today Zaman (Turkey), The Jerusalem Post, The National Review, The Asia Times, The National Interests, and Israeli Journal of Foreign Affairs, among others. He also participated in the writing of “Copts in Egypt, A Christian Minority Under Siege” (G2W-Verlag, 2006) and “The Long March to the West” (Valentine Mitchell, 2007). His recent book, Expat-ing Democracy (Peter Lang, 2016) deals with the influence of Expat communities on democracy discourse in the Middle East. Dr. Boms has extensive educational and outreach experience working in Israel, the United States and Europe. During the course of his career, he has taught and lectured in Australia, Bulgaria, England, Hungary, Poland, Turkey, Hong Kong, the United States, the United Nations and its Human Rights Council, on issues relating to the Middle East, Terrorism, Islam and Democracy. He is fluent in Hebrew, English and Arabic. Dr. Boms received his doctorate from the University of Haifa. His dissertation analyses the Influence of Information Technology on the Creation of Civic Society in Syria and Iran. He holds Masters degrees in the fields of Political Science and Judaic Studies from the University of Maryland, as well as a Bachelor’s degree in Education and Political Science from the University of Haifa. 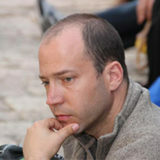 He currently teaches at the Rothberg School of the Hebrew University in Jerusalem, in addition to Tel Aviv University. Dr. Boms served in the Israeli Defense Forces as a communications officer and holds the rank of Captain (Res).